Discussion in 'General Knife Discussion' started by TXCOONDOG, Jul 8, 2013. Chopperdrvr and Ratdog68 like this. Ok time to post a few here. If anyone want to know info about them let me know. rob072770 and Chopperdrvr like this. 6.8KLR, Ratdog68 and Chopperdrvr like this. 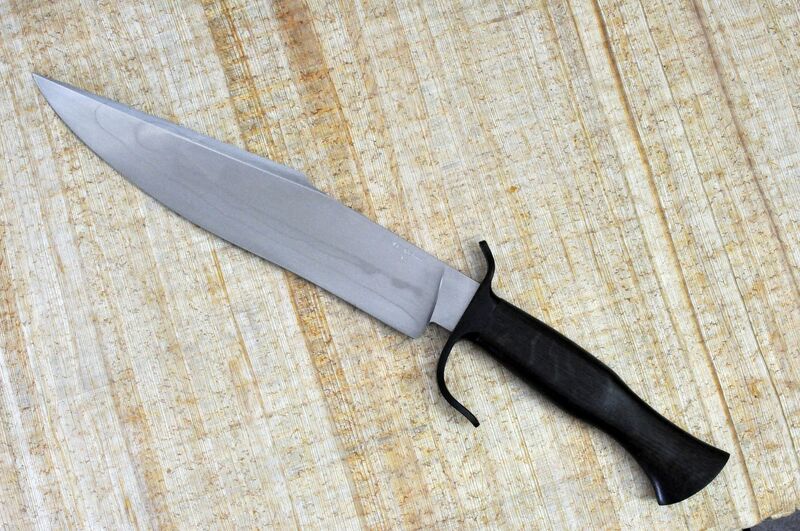 Here is a photo of my Tops Steel Eagle. Ratdog68 and Chopperdrvr like this. Hey bldsmth... I'm really likin' the one with two distinctly different patterns of Damascus. 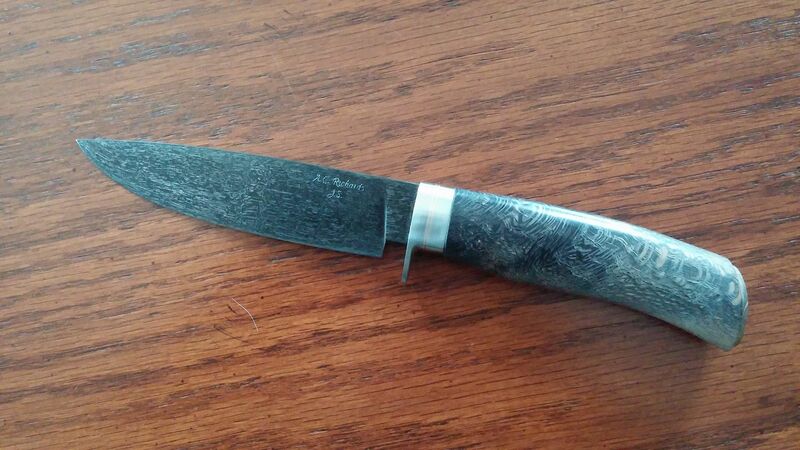 The one with the middle section running tip to hilt, and the outer section patterned edge to spine. Amazingly beautiful. 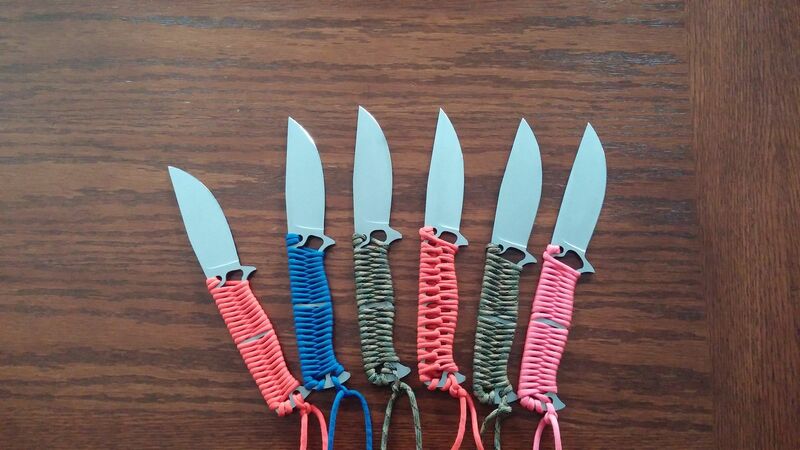 Wow did you Grand father makes these knifes or collect. Are you looking sell,any? 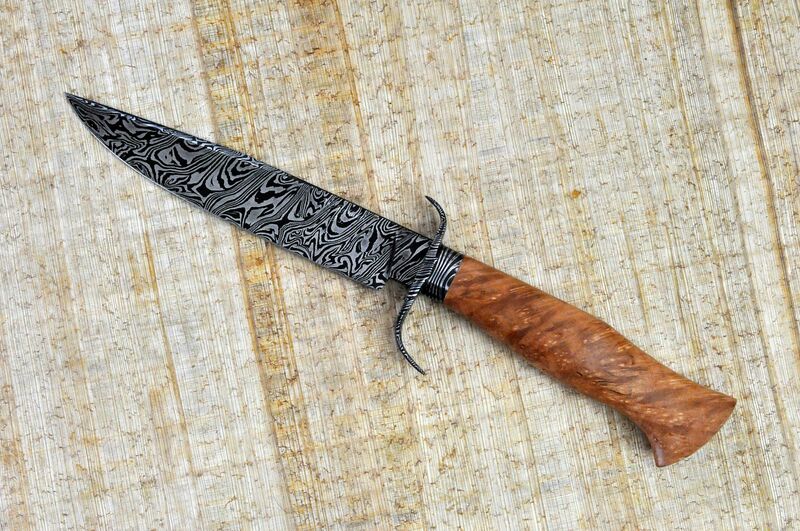 There are some amazing blades. 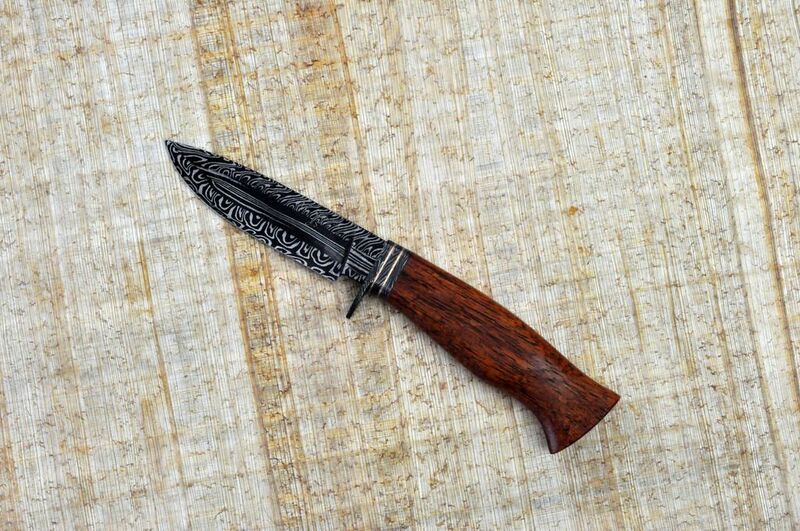 I,am with you Rd the that one knife you speak too is a work of art. You are an artist!!!! Amazing work hats off. 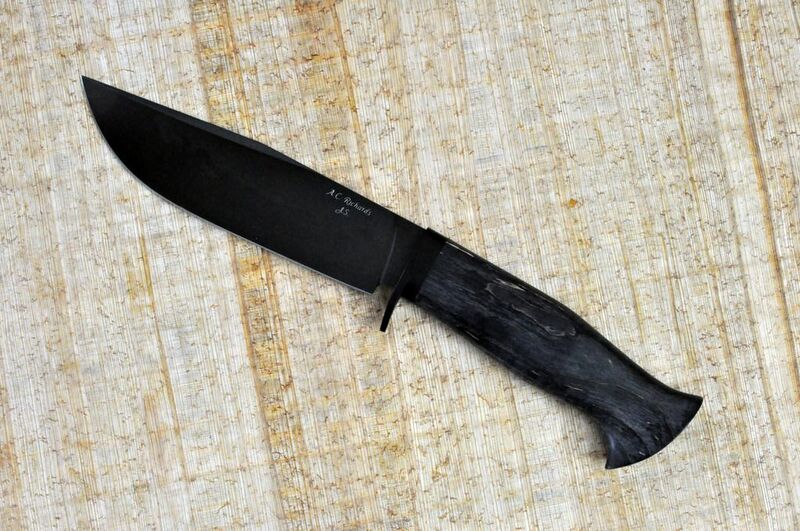 This is a Hunter/Skinner custom built by Garry out of New Zealand. 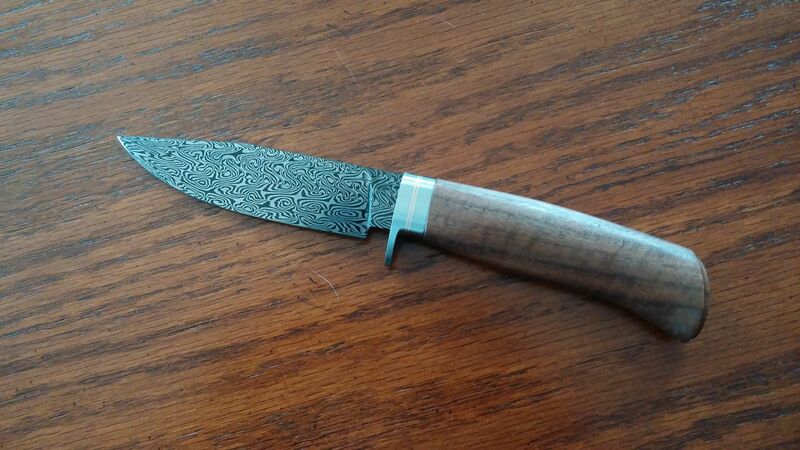 The three dots on the blade are his mark that signifies the Trinity name of his knife works. They stand for the Father , The Son and The Holy Ghost. The scales are a local type of Eucalyptus called Jara. 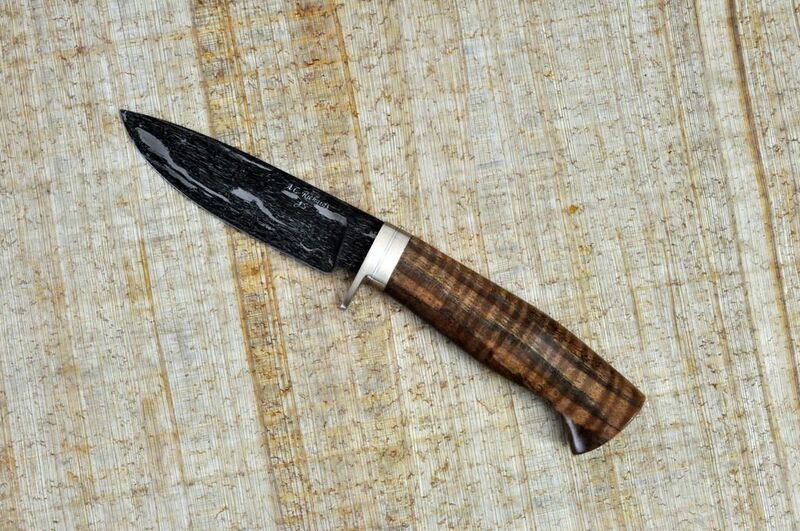 Von Gruff Knives....These come as a set both with local New Zealand Blackwood scales and Buffalo Horn Bolsters. 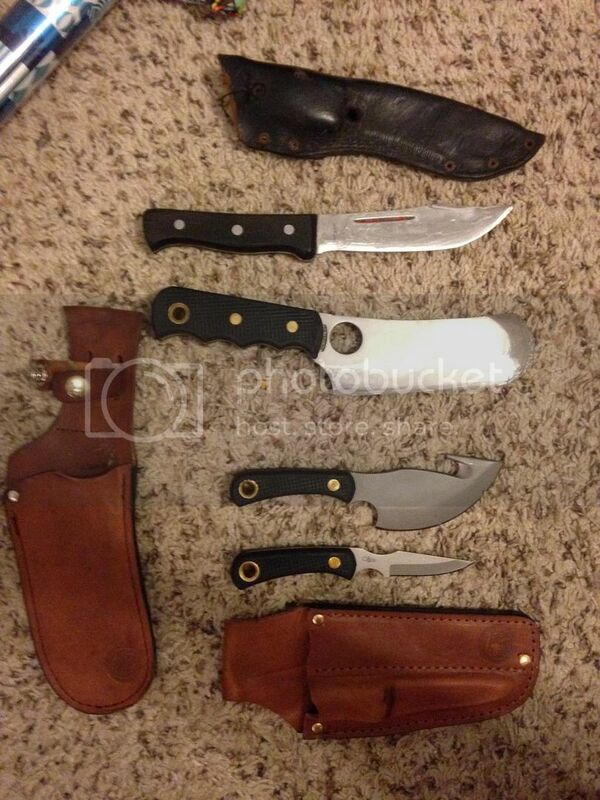 The top one is the Boning Knife the bottom one is the Hunter/Butcher knife. 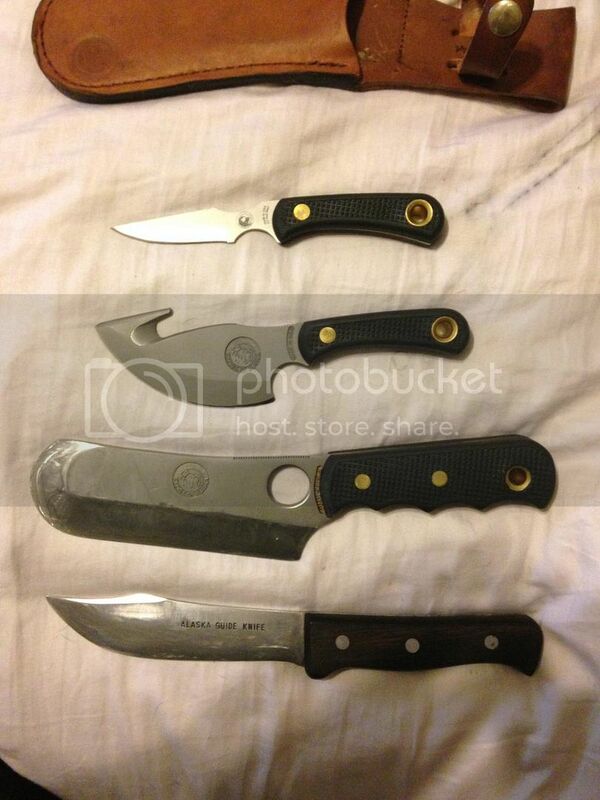 The bottom 3 are Damascus. The group at the top I make from either O1 or S35vn stainless . 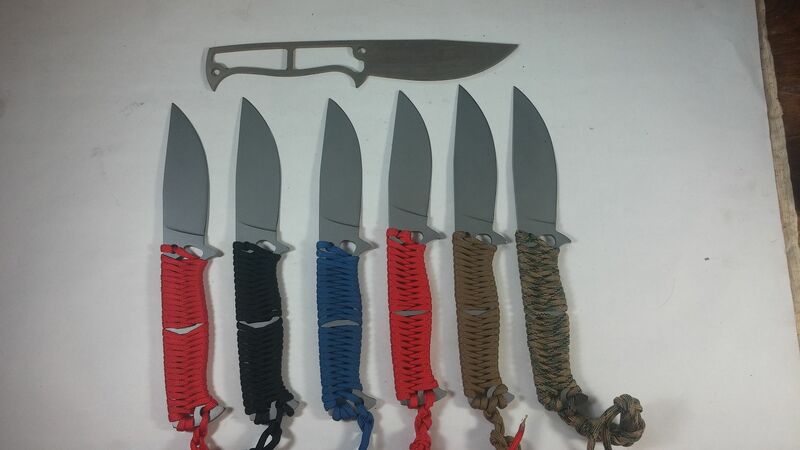 They are ultralight backpacker knives.